Please vegetarians and meat-eaters alike with this smoky and satisfying Mexican Street Corn recipe. Street corn has seen an increase in menu penetration by 278% over the past 4 years. TABASCO® brand Green Jalapeño Pepper Sauce --- 2 oz. Lime juice --- 2 Tbsp. Corn on the cob --- 4 ea. 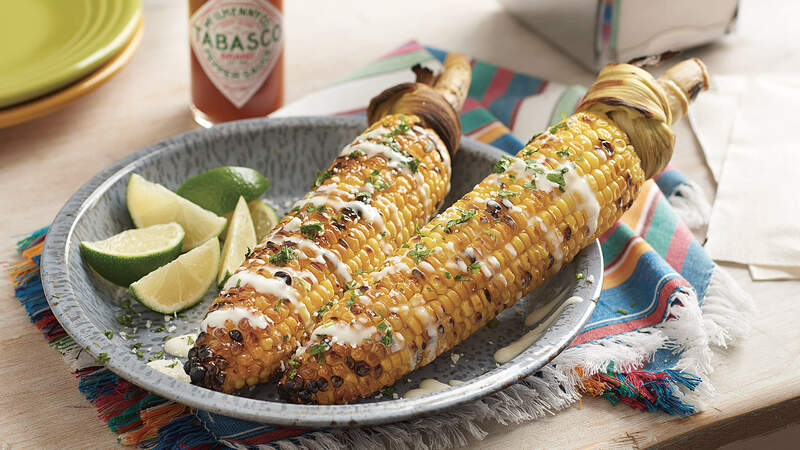 Combine crema with TABASCO® Green Sauce, lime juice and cilantro; set aside. Spread each ear with the crema mixture, without covering all the corn. prinkle Cotija cheese over top.